Home » Video: Should I Invest In Gold Or Silver? In this video I’ll answer the question we get asked daily, should you invest in gold or silver? I’ll reveal 5 key comparisons so that you can decide which precious metal will be best. Clearly, to measure which metal is best for you, you first need to decide what you’re trying to achieve. I like to keep things simple. I consider physical gold investment as removing risk from your life. In comparison, investing in silver is more volatile and therefore riskier. If security and wealth preservation is your main objective, then gold is your more natural choice, but if long term profit is your motivation, then silver has the higher potential. I believe that gold will rise in value quicker than silver over the short to medium term. As the global economy unravels, it will benefit initially as the natural global safe haven asset. We’ve already witnessed the gold/silver ratio widening from an average of 47:1 over the past century to 85:1. It wouldn’t surprise me if that continued to around 100:1. However, if your investment horizon is longer term, silver undoubtedly offers far superior profit potential. Once gold starts to really thrive again, silver will lag initially, but then follow suit and close the price gap. Its current low price offers the chance to secure incredible value and lock in prices. With its growing industrial use in the tech world, and diminishing supplies, silver could close the price ratio to gold, back towards 25:1 over the long term. With silver’s rock bottom prices, the production cost of each coin or bar is relatively much higher than gold. If you assume the cost of minting a 1oz coin is £1, then that cost is tiny as a fraction of the gold value of that coin, perhaps around £1,000. However, with the silver price per ounce, as low as £11, that same production cost adds a large relative margin. If it’s tight margins and shorter-term investing you’re after, then gold is a safer bet. Buying far larger silver bars, can go some way to reducing this margin, as can buying large quantities of silver coins, but the market naturally operates at wider spreads. Sometimes overlooked by many investors, tax efficiency can impact your profits tremendously. Investment grade gold coins and bars benefit from a VAT exemption, and UK gold coins are also Capital Gains Tax free. In comparison, physical silver is not VAT exempt, adding 20% to purchase prices. Despite this, many investors still choose silver over gold, as they recognise the 20% could be a drop in the ocean in the long term. The exciting news is that we’ve found a way of selling and delivering physical silver to our customers without VAT being applied. It requires a careful supply chain and for the silver to have a face value, but we’ve been selling silver coins and bars for several years VAT-free. Just like with its gold versions, the silver UK coins are also CGT-free, making coins like the silver Britannia, just as tax efficient as the gold Britannia or Sovereign. far greater choice than silver investors. It’s a more established market, so the variety of coins and bar sizes has developed over years. But, the emergence of the silver investment market has led to more mints producing their gold coin ranges in silver too. The famous gold Krugerrand, arguably the most successful gold bullion coin in history, was at last made available in silver from 2018. The same goes for all the UK bullion and collectible coins. The only one not produced in silver is the classic Sovereign coin. 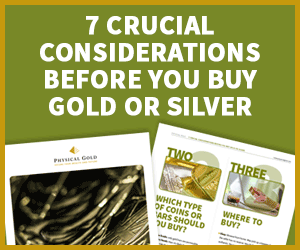 So, following through these 5 factors should help you decide which precious metal will best suit your investment needs. Personally, putting your eggs into different baskets has always been my investment approach. So the best option is to own both metals. With a conservative risk profile, I follow a ratio of around 80% gold and 20% silver. Our focus is helping customers invest in gold or silver coins and bars. That expertise means we’re ideally suited to help you buy the right precious metals to meet your investment objectives and be tax efficient. Call our team on 020 7060 9992 if you have any questions or simply need some guidance. Alternatively, you can engage on our website live chat function or request a callback here. Hopefully, you’ve found this video helpful. We cover many other aspects of gold and silver investment in our other video guides here. This entry was posted in Blog, Guides and tagged Gold Investment, Silver Investment, video.